Sec. 25.4 Designation of Qualified Anti-Terrorism Technologies. Sec. 25.5 Obligations of Seller. Sec. 25.8 Government Contractor Defense. Sec. 25.10 Confidentiality and Protection of Intellectual Property. Stat. 2238 (6 U.S.C. 441-444). States Code (the ``SAFETY Act'' or ``the Act''). loss to citizens or institutions of the United States. specifications, and is safe for use as intended. component of loss of or damage to property). damages, injury to reputation, and any other nonpecuniary losses. the SAFETY Act and the application process. sections 441-444 of title 6, United States Code. any means other than the violation of this section. homeland security may be deemed a Technology under this part. Department of Homeland Security or the Under Secretary's designees. limiting the harm such acts might otherwise cause. Seller or other provider of such anti-terrorism Technology. substantially reduce risks of harm. Technologies that prevent, defeat or respond to such acts. harm such acts might otherwise cause. that give rise to the need for the anti-terrorism Technologies. may be Designated as a Qualified Anti-Terrorism Technology. technological characteristics as the Predicate Technology. provisions in Sec. 25.10 shall be applicable to such consultations. production, or deployment of the Technology. defense against, response to, or recovery from such act. in defense against, response to, or recovery from such act. of a Designation or a Certification. (8) Any limitations on such liability insurance. (h) or provides a false certification. application shall have no prejudicial effect on any other application. or incomplete parts will be specified. review each complete application and any included supporting materials. rely in part upon such prior experience and, thus, may be expedited. the capability of the Technology to substantially reduce risks of harm. (iv) Proprietary studies that are available to the Under Secretary. at the discretion of the Under Secretary. (iv) Set forth the insurance certification required by Sec. Anti-Terrorism Technology (a ``Pre-Qualification Designation Notice''). (iii) A list of the portions of the application referenced in Sec. to be appropriate in his discretion. and acted upon in accordance with the procedures set forth in Sec. set forth in the applicable Pre-Qualification Designation Notice). established performance standards or defined technical characteristics. technical merits of the QATT that has received Block Designation. such decision, including the reasons for such denial. all purposes under the SAFETY Act and this part. right, title, and interest in and to the applicable license agreement). Act/room 4320, Department of Homeland Security, Washington, DC 20528). as specified in the applicable Application for Transfer of Designation. for any licensee listed as a Seller on the applicable Designation. the Seller's Designation or Certification. modifications or permit inspections or audits. result or may result in loss to the Seller. brought in the appropriate district court of the United States. presumption of the applicability of the government contractor defense. person, firm, or other entity engaged by the Seller. government contractor defense conferred by the SAFETY Act. (4) Perform or seek studies or analyses of the Technology. (d) Action by the Under Secretary. discretion of the Under Secretary. for any licensee listed as a Seller on the applicable Certification. such transfer and assignment of the Certification became effective. shall be published by the Department. Secretary, in response to an application submitted pursuant to Sec. a Certification for all purposes under the SAFETY Act and this part. appropriate exemptions from the Freedom of Information Act. 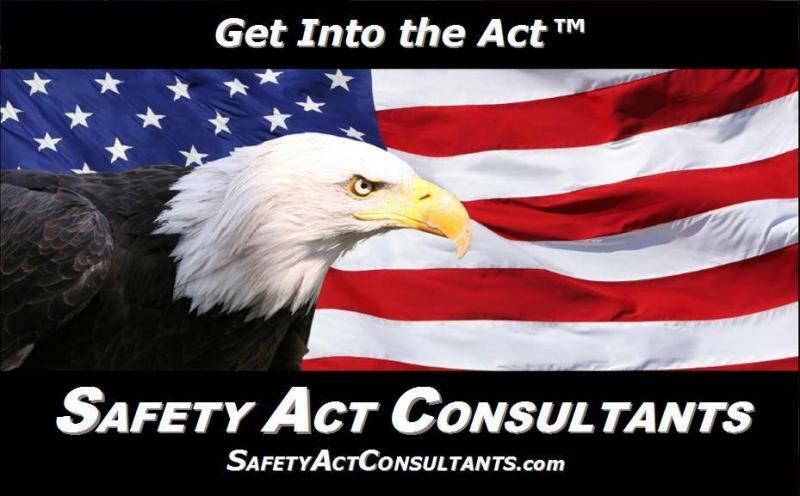 constitute SAFETY Act Confidential Information.